Cheapeats, Inc. Blog » What’s Happening On Halloween In NYC? IT’S COMING! 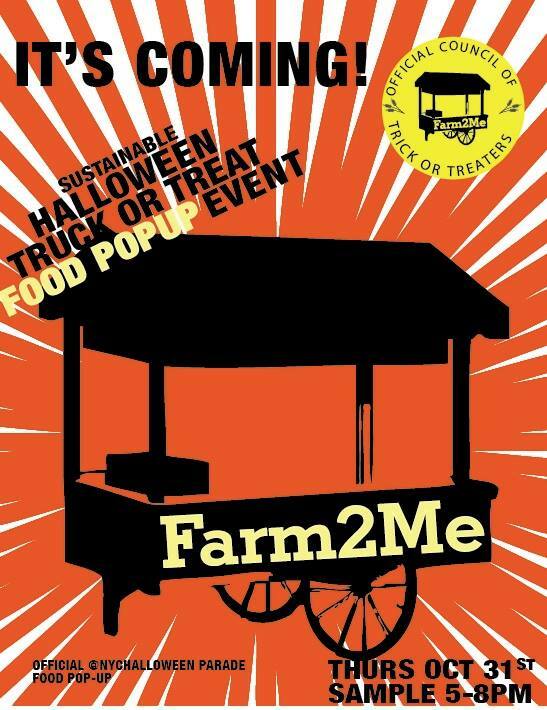 The 2nd Annual Sustainable Halloween “Truck or Treat Event” for the family… NEXT Thursday, Hallow’s Eve 2013!! FREE Food, FREE BBQ, Drinks, NYC Halloween Parade for the Family, NYC Food Trucks, Halloween Red Carpet, Block Party, sponsored by NYU, Farm2me, Ivy Bakery, NYC gov. This entry was posted by Rosemarie on Tuesday, October 29th, 2013 at 6:05 am	and is filed under Bakery, Events, Food Trucks, Greenwich Village, Manhattan. You can follow any responses to this entry through the RSS 2.0 feed. You can leave a response, or trackback from your own site.